March 29, 2018 | Halifax, NS – A new novel has recently been published featuring a transgender superhero. The novel deals with themes of gentrification, income inequality, and gender. It is intended for an audience of 13+. As The City descends into chaos around him, secrets in Luca’s personal life threaten to derail his investigation, let alone his social life. And when America’s premiere super heroes go missing, The Avalon Knight may be the only hope for stopping The Gentleman before his plans reach their destructive conclusion. N.T. Herrgott is a graduate of Carleton University, where he studied sexuality and gender in literature. 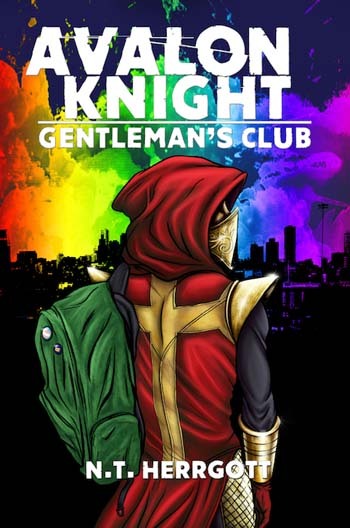 He has been an avid reader of super hero comic books from a young age, and was inspired to create the Avalon Knight by the lack of transgender super heroes in comics. This is his first novel.